Port Canaveral, Fla. — Advancing the Tomorrow’s Port Canaveral vision to accommodate future growth for the world’s second-busiest cruise port, Canaveral Port Authority engaged long-time partner CH2M to design a new terminal to support its cruise business, which currently accounts for 80 percent of the Port’s revenue. The new terminal will join the Port’s Cruise Terminal One, also designed by CH2M, in its ability to serve ships like Royal Caribbean’s Oasis-class, with capacities of more than 5,400 passengers. 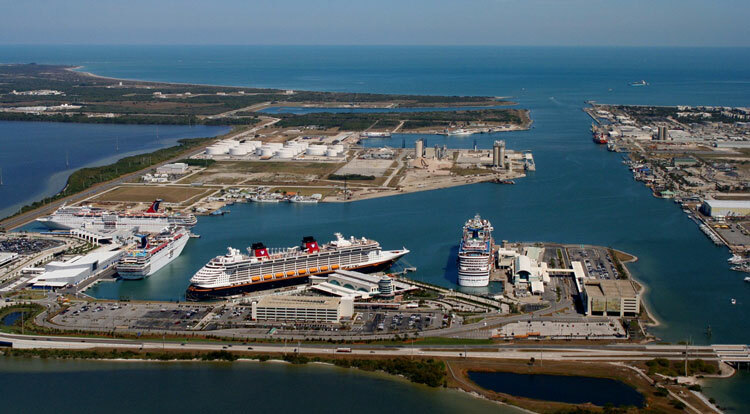 The berth will also strengthen Port Canaveral’s position as an in-demand port-of-call and popular vacation destination. In addition to leading design of the proposed 1,400-foot-long terminal berth, CH2M will provide permit support, dredging, bidding support and construction support as part of their waterside engineering design and permitting services contract. Guided by their previous success on every recent major waterfront permitting effort at Port Canaveral, and permitting for nearly all of Florida’s deepwater ports, CH2M will assist the Port Authority in securing permits from various state and local agencies including the U.S. Army Corps of Engineers, the U.S. Coast Guard and Florida Fish and Wildlife Conversation Commission. The new berth will support an estimated nearly 4,000 permanent jobs, in coordination with overall modernization and improvement plans, including the Port’s channel widening and deepening and new cargo piers. With a legacy spanning more than a century, including work at Port Canaveral since 1954, CH2M’s maritime and coastal engineers lead the industry in developing and implementing modernization and capacity increasing solutions that advance business, stakeholder and community goals.